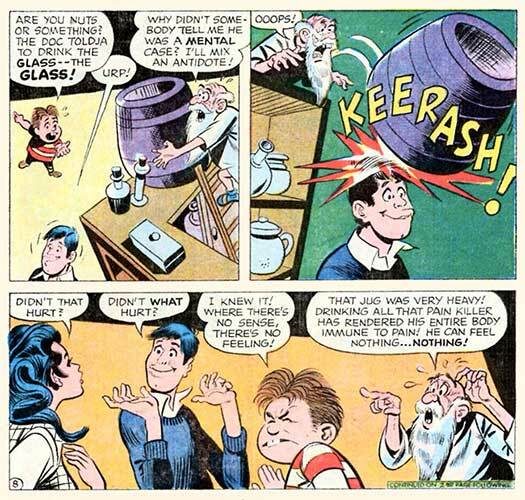 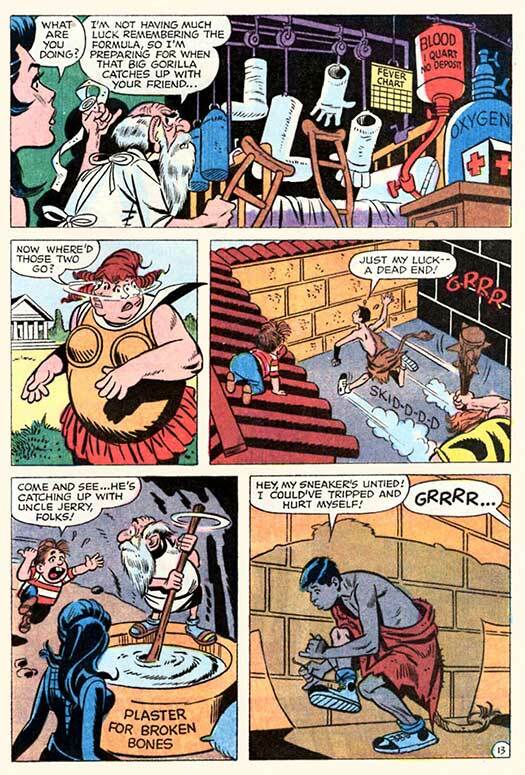 Did you know the late Jerry Lewis was not only a comic, but a comic book? 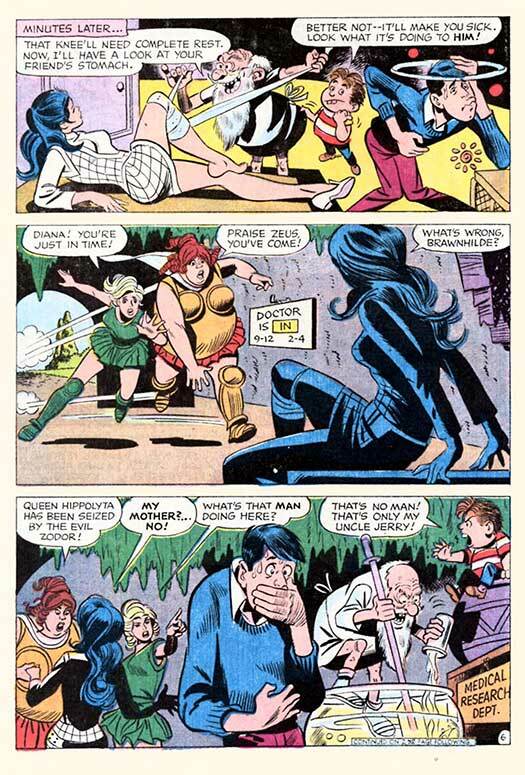 Plus, he met several DC Comics heroes...and a heroine! 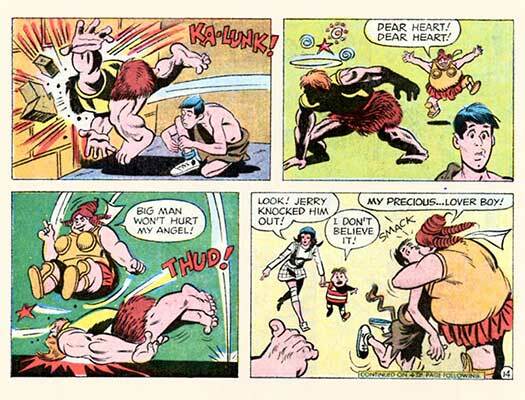 Jerry had one of the longest-running books among the celebrity-comic book crowd. 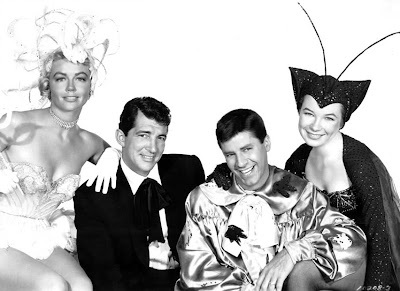 Starring Lewis and his then-partner, The Adventures of Dean Martin & Jerry Lewis debuted in July, 1952, ran for 40 issues, and ended when the partnership did, in mid-1957. 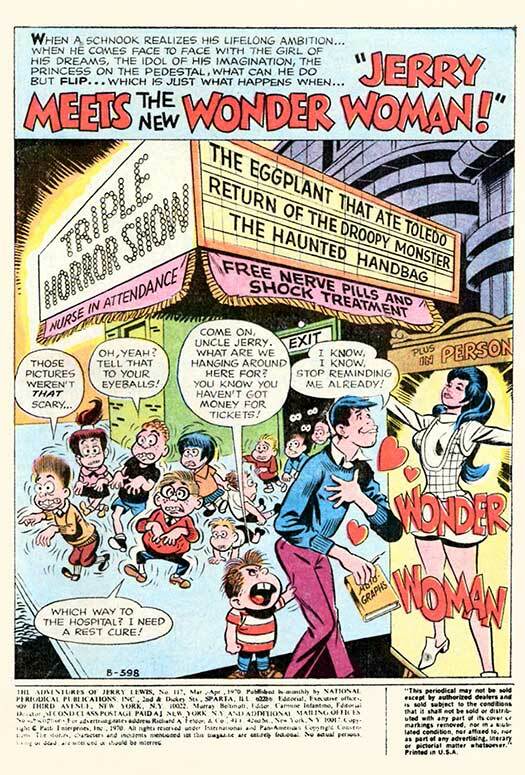 DC kept the title going without Dino for another 84 issues until June 1971, plus one 68-page Super DC Giant! 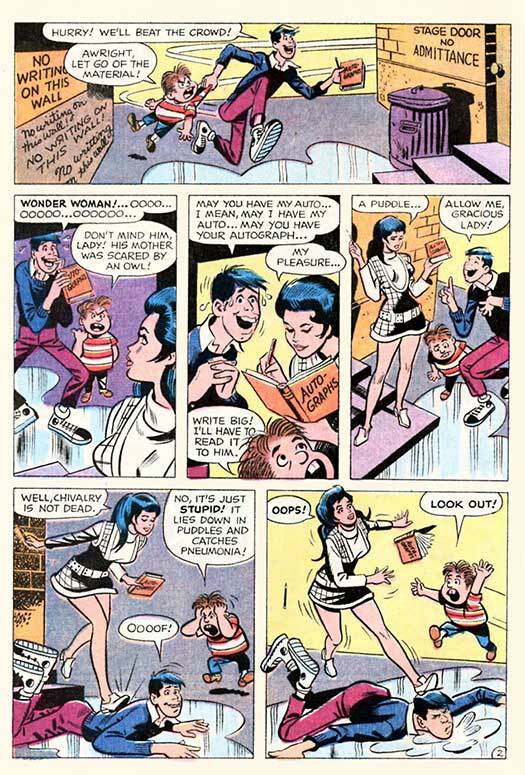 for a total of 125 books...an impressive run by anyone's standards. 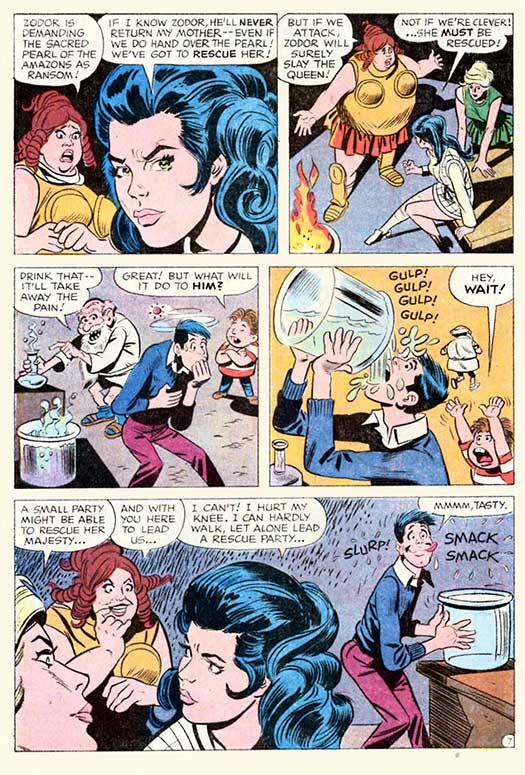 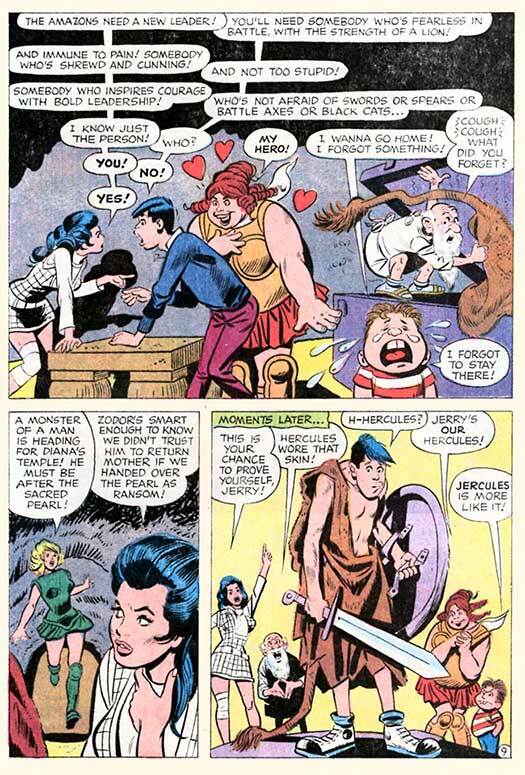 During this run, Jerry encountered Superman, Batman, the Flash, and last, but not least, Wonder Woman, who was in her non-super-powered story arc that ran from 1968 to 1972. 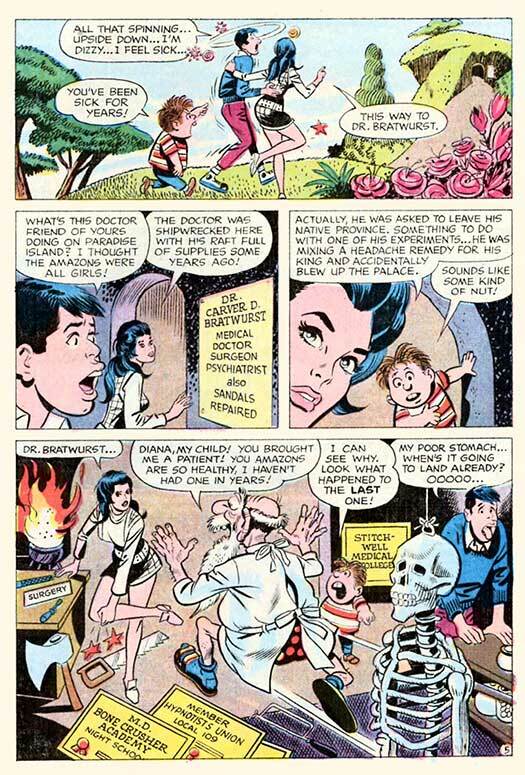 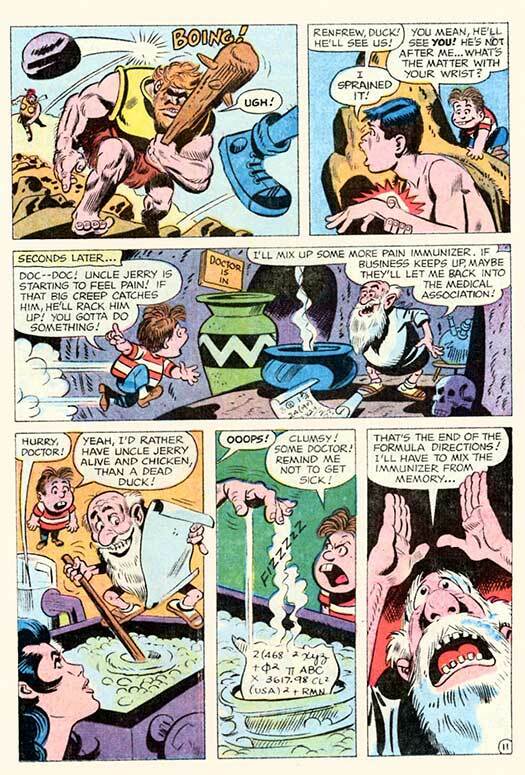 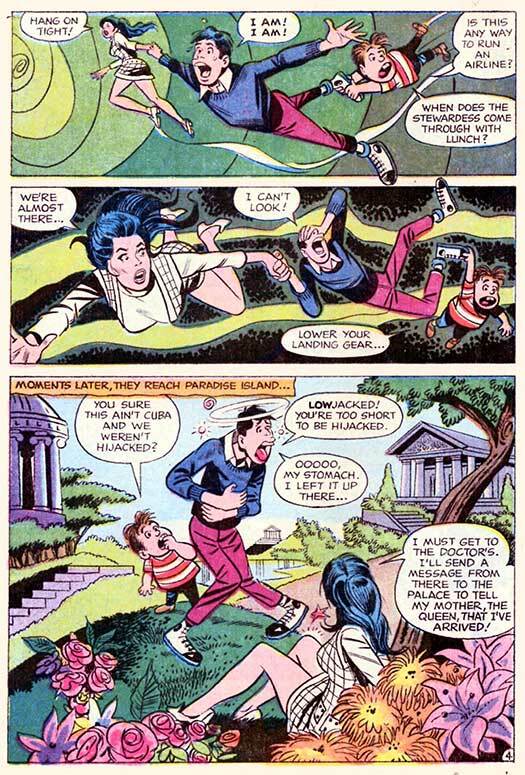 But writer Alan Riefe, penciler Bob Oksner, and inker Tex Blaisdell decided to go a bit outside the Wonder Woman series continuity and allow Diana to return to Paradise Island...which she couldn't do at that point in the comic! 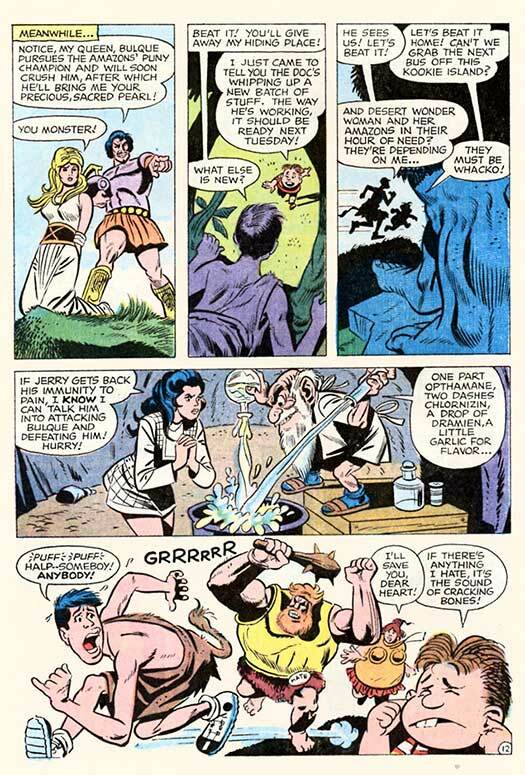 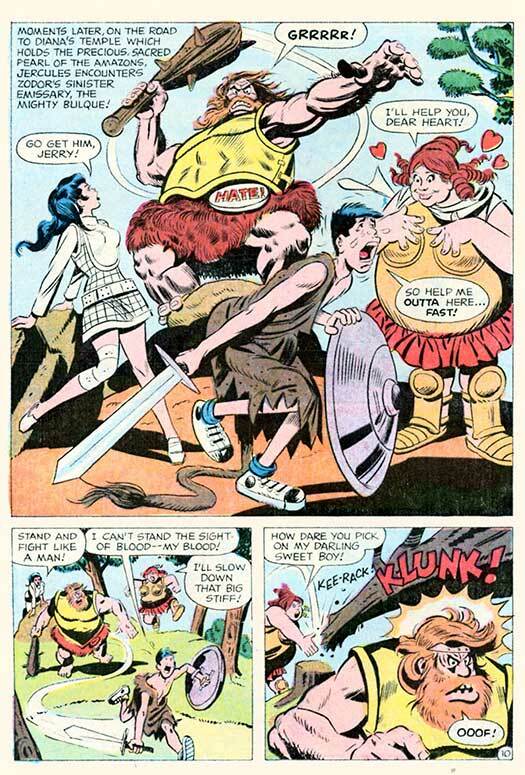 Yes, this never-reprinted tale from AoJL #117 (1970) is not Silver-Age canon!